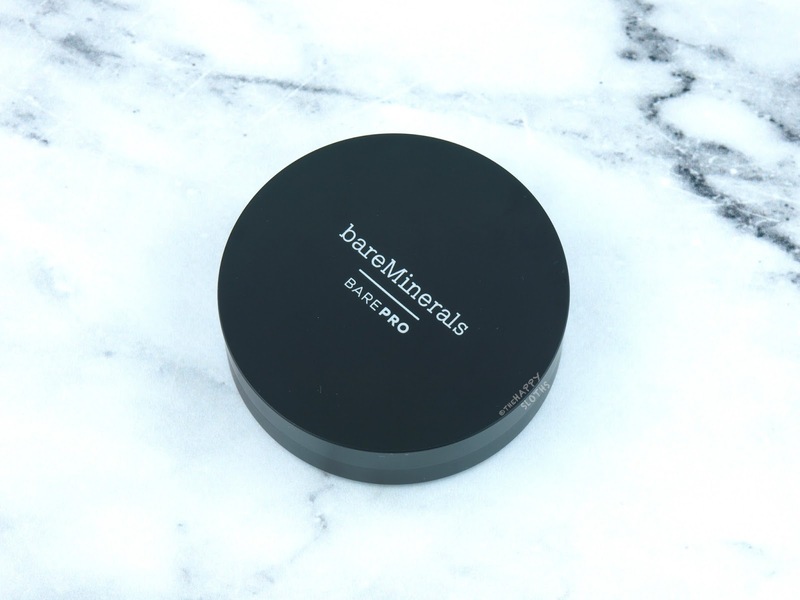 The bareMinerals BAREPRO (10g) comes in a very simple black compact. The lid has a subtle concave design and inside you will find a mirror and a sponge applicator. I always appreciate the thought behind including an on-the-go applicator but as someone who never uses a sponge to apply powder, I would have opted for a thinner, sleeker compact. With that said, this compact is still pretty travel-friendly, especially given the convenient and secure magnetic closure. 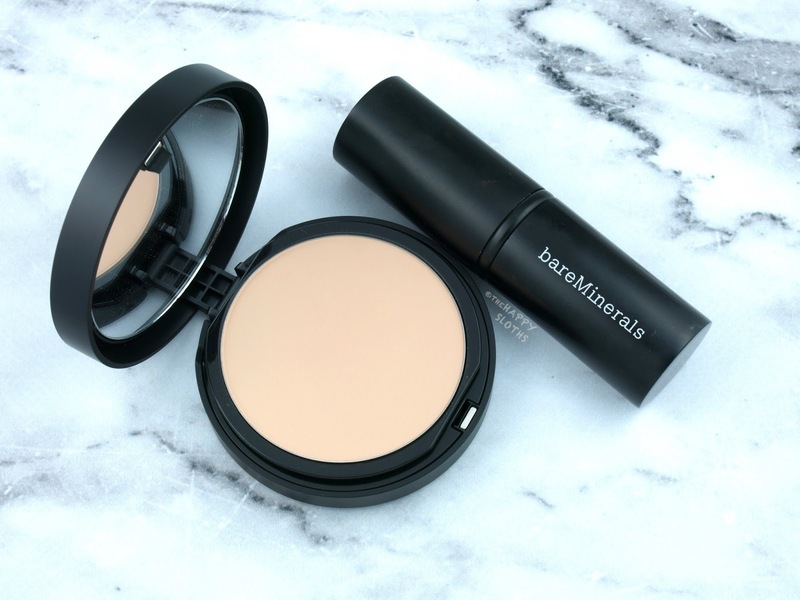 The bareMinerals BAREPRO has a slightly harder texture as compared to Urban Decay's Naked Powder Foundation or the Too Faced Cocoa Powder Foundation (two of my staples for the past couple of years). With that said, BAREPRO is not chalky or dry by any means; it still has a very silky texture, but it's just not as powdery soft as I expected. 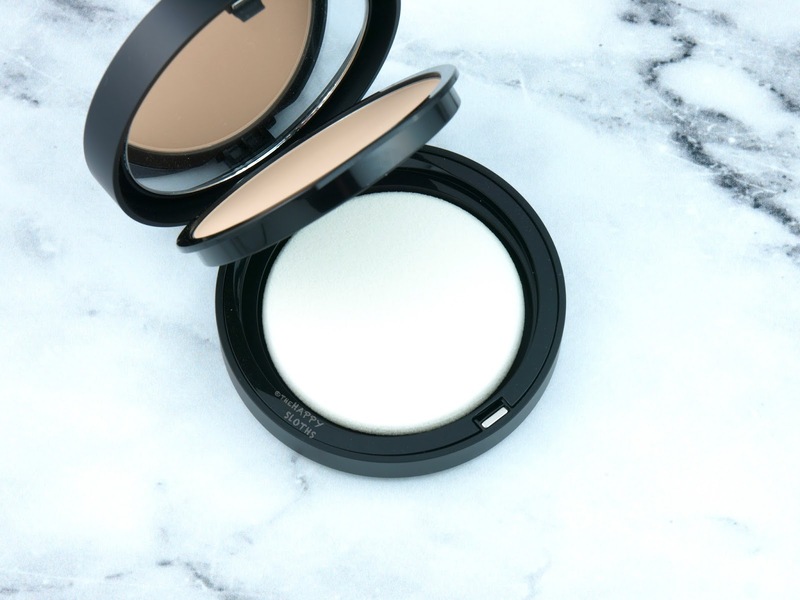 As a result of its slightly harder texture, I find that it's not very easy to apply and blend onto the skin for that flawless, blurred finish. I've been using my regular EcoTools brush to apply the powder and I find that I have to sweep quite aggressively to pick up enough product from the pan. What I will say is that BAREPRO has a very natural matte finish that's not at all cakey. 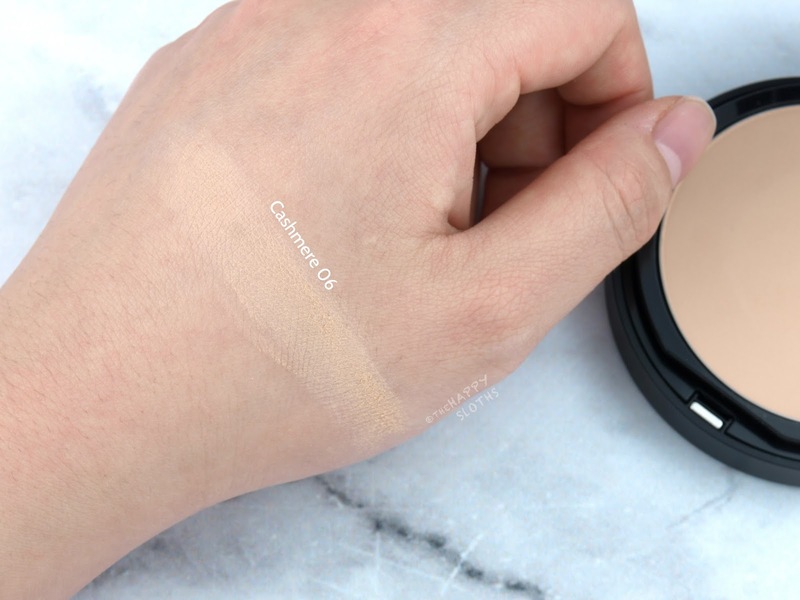 The coverage lands somewhere between semi-sheer and medium and the wear is very good. My T-zone will still get shiny after a few hours but the foundation doesn't fade excessively or become patchy. "Cashmere 06" is the shade I was matched with and it's comparable to a MAC NC20. 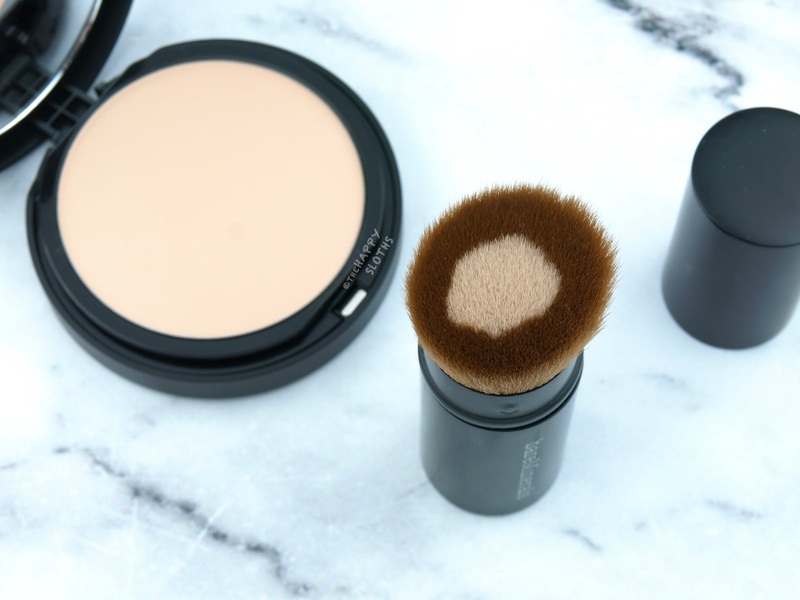 Also launched with the BAREPRO powder foundation is this BAREPRO Core Coverage Brush ($38 CAD). What's unique about this synthetic brush is its densely-packed core that helps pick up the maximal amount of product. The outer layer of fibers are packed more loosely to help blur out the application. The brush is retractable and capped so you can carry it on-the-go. I find the bristles to be quite stiff, not what I'm accustomed to but ironically it works very well at picking up the BAREPRO powder. Even so, the brush is not great at blending so I feel like I have to dab and dab and dab (and dab) for an even coverage all over my face. Overall, the bareMinerals BAREPRO is not quite what I expected in terms of texture and formulation but I don't hate it. The harder texture requires some getting used to but I like the natural finish and coverage. 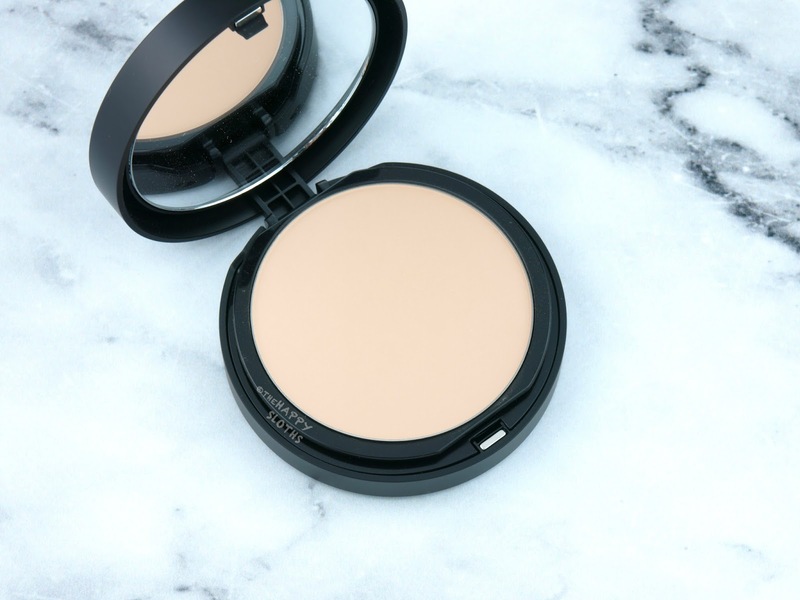 The application is more time-consuming for me but the finish is very lightweight, comfortable, and non-drying. bareMinerals is available online and in stores at Sephora.